In the auto industry’s ever-present move toward SUVs and trucks, every company has to jump on board. Even though Lamborghini once made a Hummer-esque SUV (and tractors), the 2019 Urus is its attempt to cash in on a lucrative market for high-performance (and high-priced) SUVs. 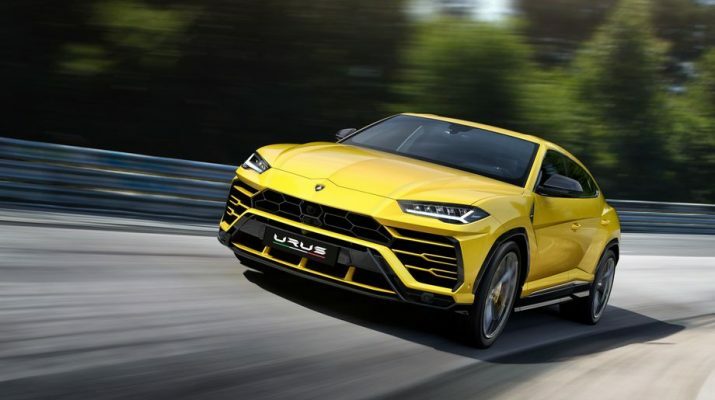 The Urus is the sports car manufacturer’s entry into the market, which also consists of the likes of the Bentley Bentayga; the Porsche Cayenne, which is part of the vast Volkswagen Group; as well the Mercedes-Benz G-Wagen and Land Rover Range Rover, just to name a few. Unsurprisingly, the Urus (the name, according to Lamborghini, derived from “one of the large, wild ancestors of domestic cattle”) has styling that leans heavily on the company’s lineup of expensive sports coupes: the Gallardo and Aventador. But adding an extra set of doors, a rear seat, headroom for those in the rear seat, and some useful trunk space had an effect on the iconic Lamborghini lines. The styling inside also mimics Lamborghini’s sports cars, even if the more upright windows allow you to actually see out of the car. And, being an SUV that doesn’t have flamboyant doors, entry and exit will be more graceful than in the Aventador for the average non-racing driver. More controversial may be the Level 2 driver assistance features that will likely take over at low or moderate speeds, with steering and braking inputs. It’s not autonomous, but this is likely the most self-driving Lambo yet. Love or loathe the styling, but the Urus is powerful. Power will come from a 4.0-liter V8 with two turbochargers, promising 650 horsepower, 0–62 mph in as little as 3.6 seconds, and a top speed of 190 mph. That’s on the road, however. Features such as rear-wheel steering and an array of preset driving modes through the “Tamburo” selector inside the car will help the Urus prove it’s a sports car that happens to be an SUV. Off-road capability for the Urus is promised, too, with Lamborghini toting a sophisticated four-wheel drive system as standard to automatically control where power should be split among the wheels. The Urus goes on sale in the spring, with prices starting from an estimated $200,000 in the US. Expect it to go much higher with expensive options, but Mercedes AMG G65s start at even higher prices, so someone might consider the Lambo a bargain. In any case, a Lamborghini SUV may sound like a crazy concept, but it really isn’t these days.